It was a calm and warm Friday night as I headed to The Heights School and to the Observatory, which is on the school grounds. I had no idea the Observatory existed and was really looking forward to an evening of star gazing with a bit of education thrown in. As I arrived, I could clearly see a white domed building and I knew that I was in the right place. In fact, there are 2 observatory buildings - one domed and one that looks like a shed. Both have automatic opening roofs and both are worth a visit. The domed observatory is the Papaelia Observatory and is a traditional domed observatory. Inside is a 14-inch f/10 Meade LX200 GPS ACF Schmidt Cassegrain telescope. The other is the Ingham Family Room - a building with a roller door type of roof. This observatory contains a scientific quality 12.5inch Ritchey-Chrétien Cassegrain telescope on a Losmandy HGM 200 mount. Adjacent to the telescope in the Ingham Family Room is a classroom for school students. 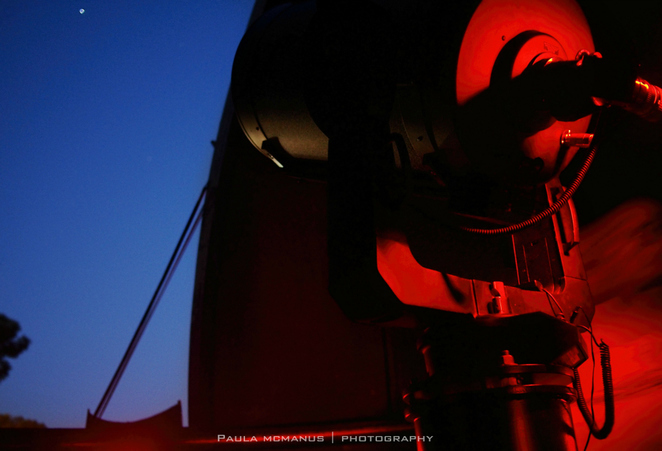 As well as the 2 observatories, there are portable telescopes that are used for public viewing nights. There's a 16-inch Meade reflecting telescope, a 10-inch Dobsonian as well as a variety of other equipment. The weather gods were on our side - there wasn't a cloud in sight and very little wind. The sun started to go down and the stars started to appear. 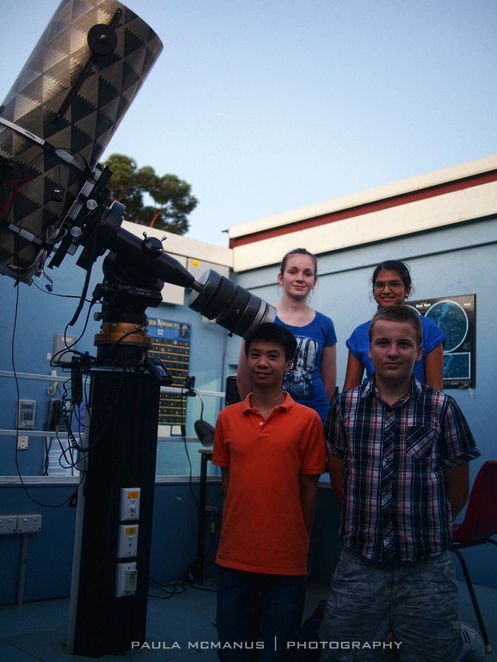 The Heights school students have formed a group, called the STAR group. 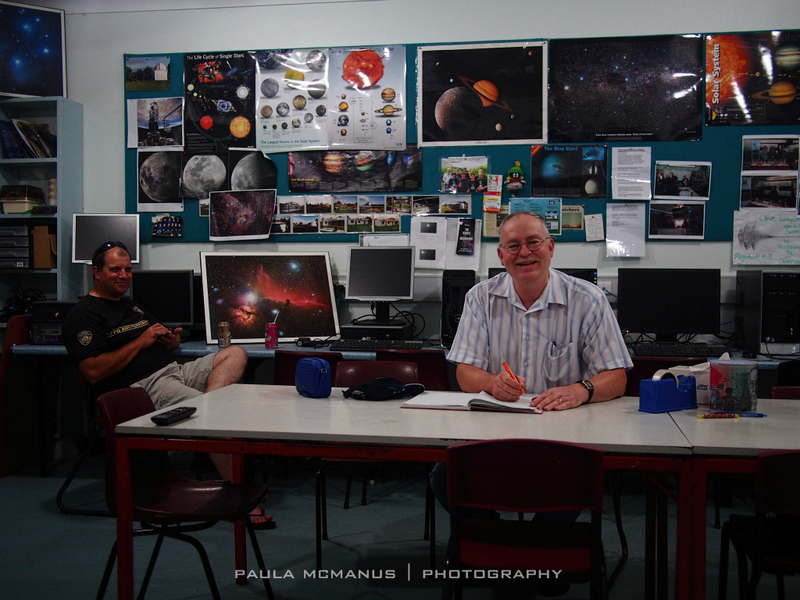 A few of the students (past and present) ran the education and viewing sessions and I was extremely impressed. They were knowledgeable, spoke confidently and were obviously passionate about the stars, planets, telescopes and everything astronomical. We had numerous opportunities to look at the sky through many different types of telescopes. I saw a lot of the sky, including Jupiter; it's stripes and 5 of it's moons. I saw the Orion Nebula, the waxing gibbous moon and what luck.. the Hubble Space Telescope went past as well! The Observatory was originally housed at Marryatville High School. Due to age and weather, the building at Marryatville started to rot and a new home for the observatory was sought. 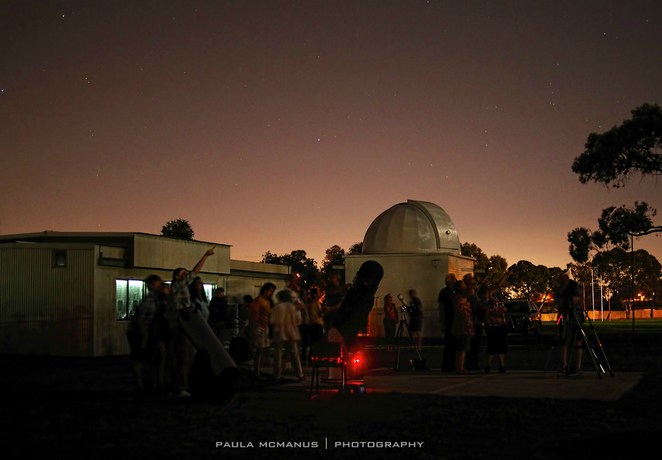 Many sausage sizzles and lamington drives later, the Adelaide Observatory was built at the Heights School in 1988/1989 by volunteers; most of them parents of the students at the school. 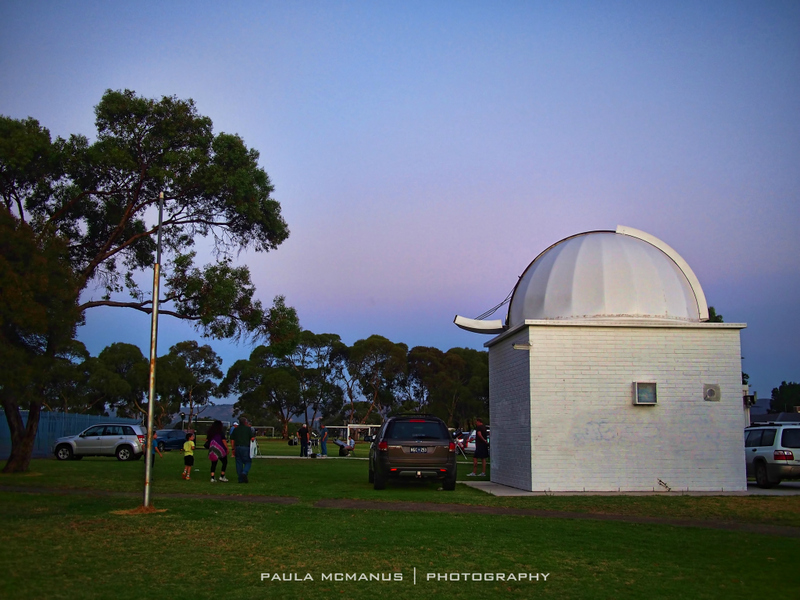 The domed observatory is officially known as the Emanuel Papaelia Observatory in honour of the science teacher who worked tirelessly to have the Observatory built at the school. The Ingham Family Rooms were built in 1996/1997 and are named to recognise the dedicated contribution by the members of the Ingham family. 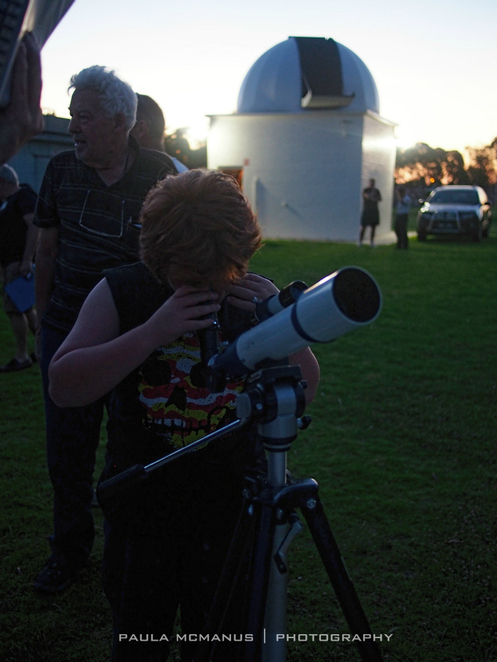 The Observatory is located in the grounds of The Heights School in Modbury Heights, approximately 15km north-east of the city of Adelaide. Enter via the carpark on Augustus Avenue. Car parking is free. 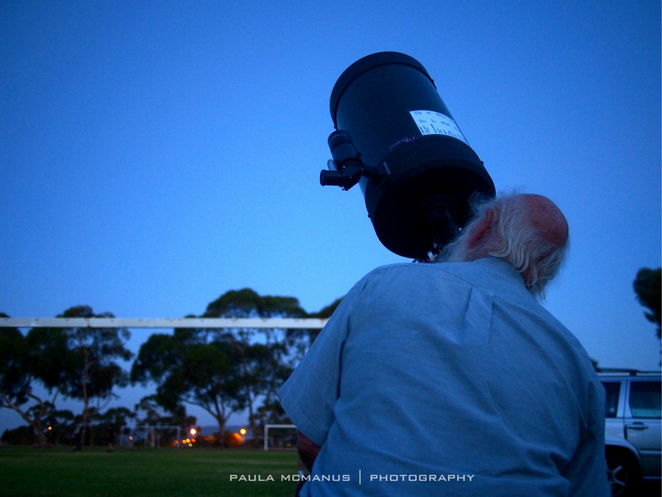 The Astronomical Society of South Australia hold public viewing nights at The Heights Observatory once a month. Bookings are not required, but good weather is and viewing sessions will be cancelled if the weather is inclement. It is strongly advised that you confirm the viewing night before going. Viewing nights will only proceed if the weather is suitable. Check the website or call (08) 8338 1231 before leaving home, just in case. The public viewing nights are scheduled on the waxing moon dates. 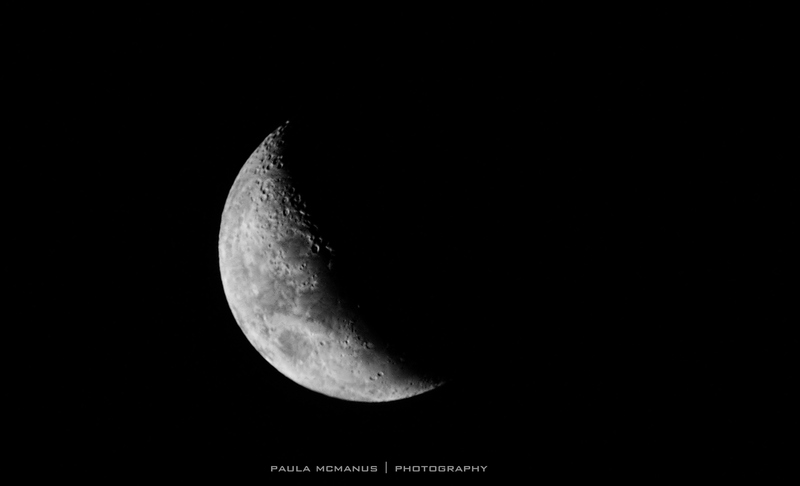 The waxing moon is also commonly known at the crescent moon. Look real quick, it will soon be gone." The Heights Observatory is also available for private booking by community clubs and groups, including photography groups. 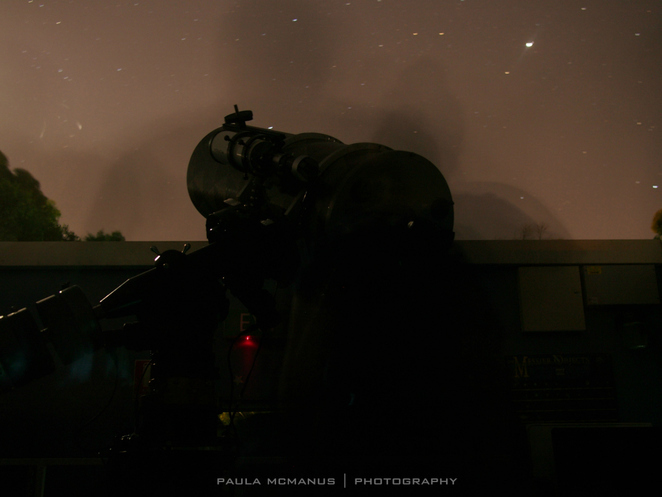 The Observatory members can be on hand to assist you with astro-photography. A camera with interchangeable lenses is a must. There are options for those who don't have the correct camera equipment; give them a call and I'm sure they'd be happy to help you get the most out of your visit. To arrange a private booking, please contact The Heights School on 8263 6244. The Observatory is suitable for all age groups, but unfortunately, at this stage, it is not suited for prams, wheelchairs or those who cannot manage stairs. What great value for a night out with the stars!